Election season gets people interested in politics. 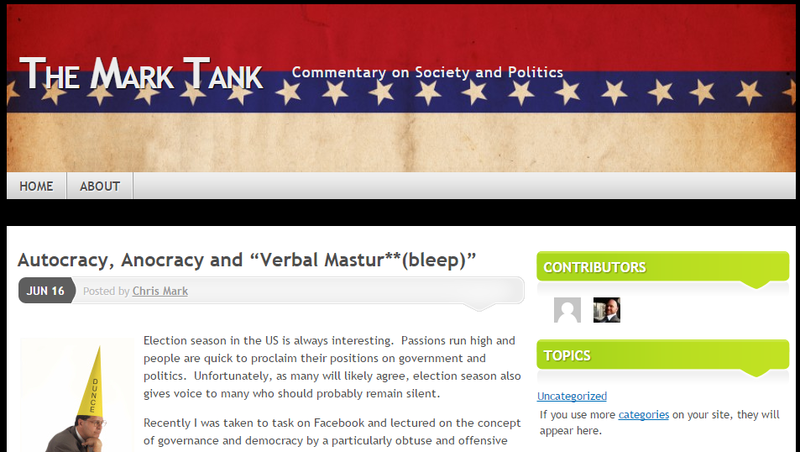 For this reason we (Dr. Heather Mark) and I decided to create a new blog TheMarkTank specifically focused on educating people on various political topics! In truth, Heather will do the heavy lifting and I will try to keep up and sound smart by ‘borrowing’ some of her work!…Either way..please send questions and comments our way. Heather has a PhD in Public Policy and Public Administration and a BA and MA in Political Science. In short..she knows politics!…We would love to hear from you. Check out the site!